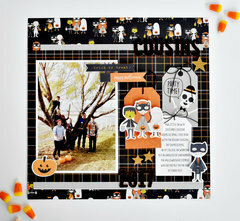 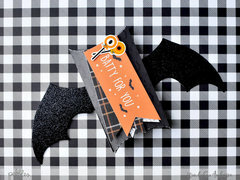 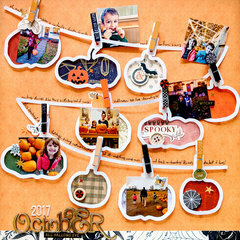 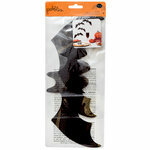 Make invitations for your Halloween party (and all the decorations!) 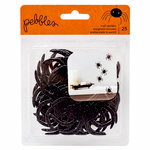 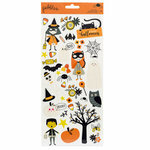 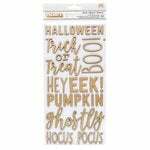 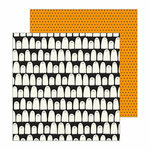 with the Pebbles Spooky Boo Collection 12" x 12" Paper Pad with Glitter Accents. 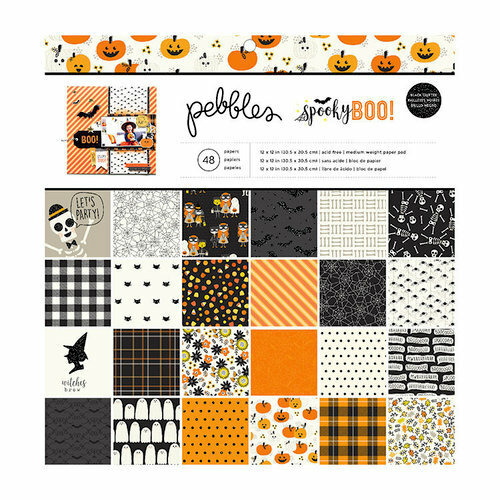 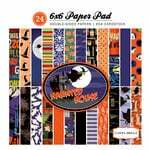 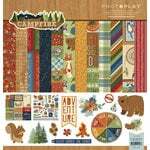 There are 48 single sided sheets of pattern papers (2 each of 24 designs) included that feature witches, trick-or-treaters, spider webs, plaid patterns, pumpkins and more. 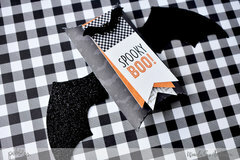 Some of the papers have black foil accents.